The Stamford Innovation Center is proud to provide a home to these promising companies. They range over some of the fastest-growing startup sectors, including biotech, personal finance, peer to peer networking, and quantified self. Applango lets you take control of your largest unmeasured, unmonitored and unmanaged expense: software. You get to monitor usage and manage costs—and SaaS users get on with their work. Evolux Transportation is building the world’s first helicopter charter marketplace and global distribution system. Jigsaw Capital enables entrepreneurs to increase product sales, profits and revenues the simplest way imaginable: using assets you already have to fund further growth. Marketing 2 Marketers is a tech-powered marketing consultancy focused solely on advertising sales marketing. We connect media and technology companies with CMOs, Brands, and Agencies employing innovation, marketing and business development programs. Mirror Books is a publishing company focused on teaching kids to read using their own stories, allowing them to use characters from their own lives to encourage their creativity and reading comprehension. Orthozon Technologies is a medical device company offering innovative solutions for spinal surgery. We’re dedicated to designing next-generation devices for complex spinal diseases. 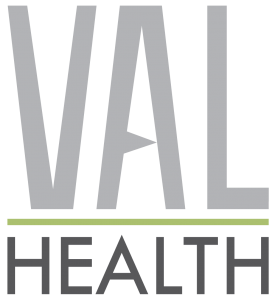 VAL Health uses principles of behavioral economics to uniquely marry bleeding-edge, evidence-based research with innovative technology to create high-impact behavioral change. Willard Powell is a leader in recruitment strategy and services. We enable our clients to approach talent acquisition in a holistic manner that includes the build of entire teams. Workbox is an all-inclusive mobile account solution designed to create invoices, track billing and client payments, keep track of hours worked, services rendered, and goods sold. The Innovation Center community includes some great companies who worked here during their early years and are now bigger, badder and in their own office space. We miss having them around, but we are awfully proud of their accomplishments! Local Yokel Media helps digital marketers reach local customers through hyperlocal content. Our unique ad platform empowers marketers to reach into tightly-defined local markets. MediaCrossing is the leading independent digital media trading innovator — reinventing programmatic buying and selling. MediaCrossing makes automated digital media guaranteed and real-time buying and selling easier, more effective, and more efficient for publishers, marketers and agencies. eBrevia automates the contract review process by using machine learning technology. Our products, which leverage artificial intelligence research from Columbia University, are used by law firms and corporate legal departments to more efficiently, accurately, and cost effectively extract and summarize key provisions from legal documents. TruOptik helps leverage peer to peer data from BitTorrent to capture data on what shows and movies are being watched by consumers. They make the data available to customers and partners via an API (Application Programming Interface). Arccos Golf uses sensors and a mobile device to create a “quantified-self” platform to help golfers improve their game. The mission of It’s Relevant is to operate on a town-by-town basis, keeping the news professional and hyperlocal for its viewers. Make the SIC Your Startup Headquarters!